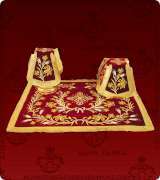 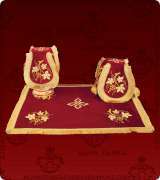 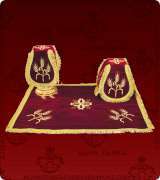 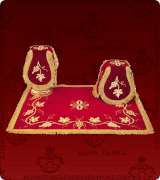 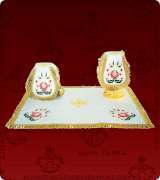 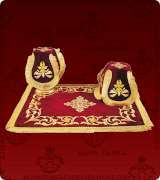 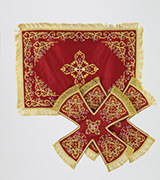 Scarlet silk chalice set veils with embroidered accents. 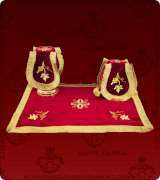 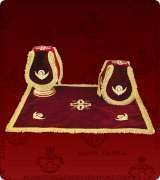 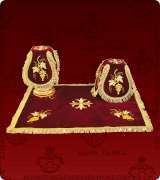 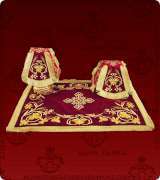 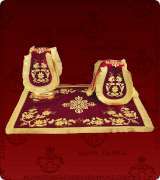 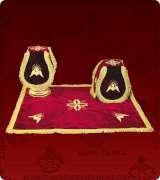 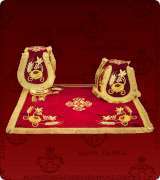 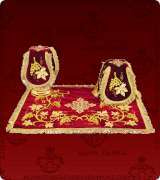 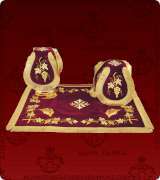 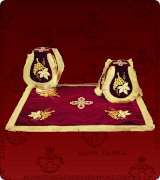 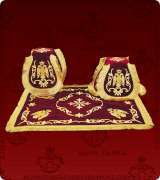 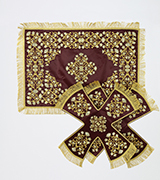 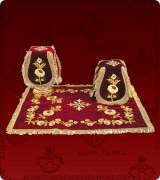 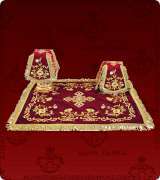 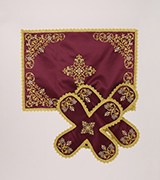 Gold brocade chalice set veils with burgundy accents. 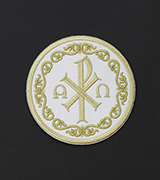 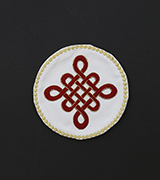 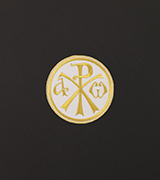 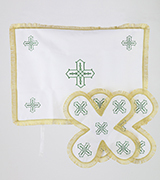 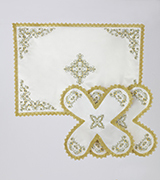 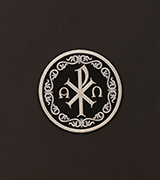 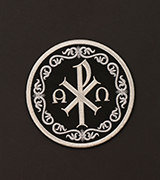 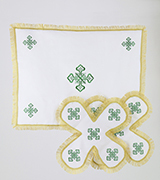 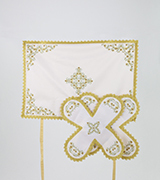 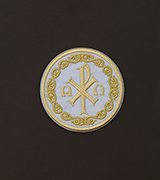 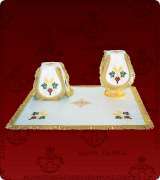 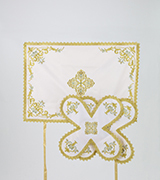 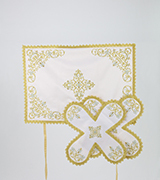 White metallic sip chalice set veils featuring an embroidered Icon. 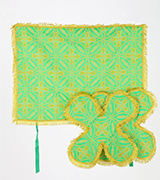 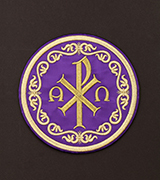 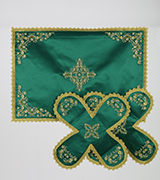 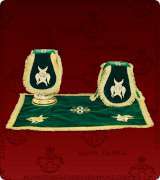 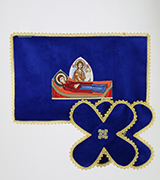 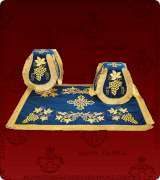 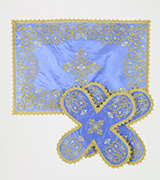 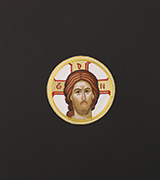 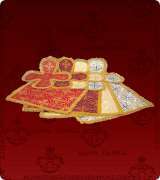 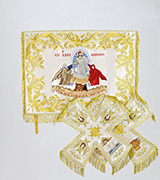 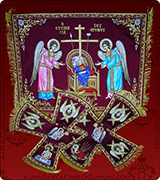 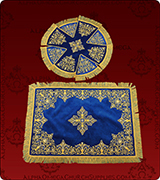 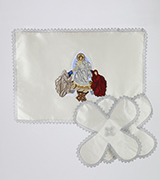 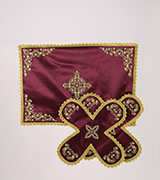 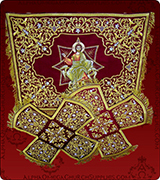 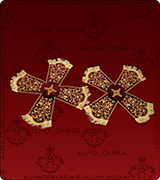 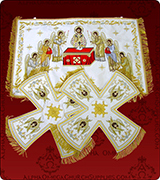 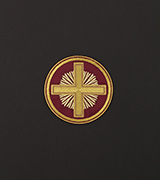 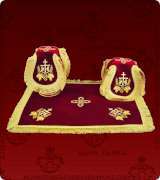 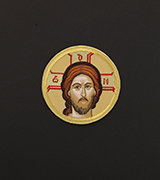 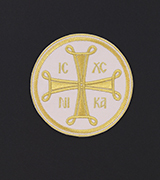 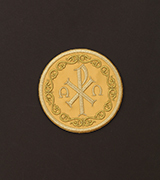 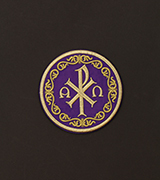 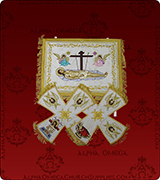 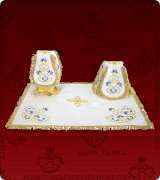 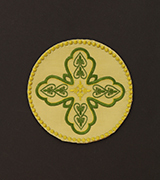 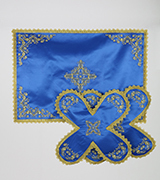 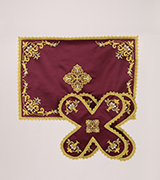 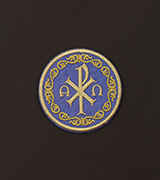 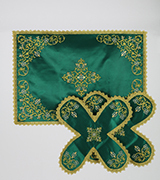 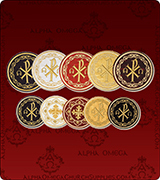 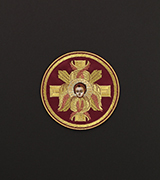 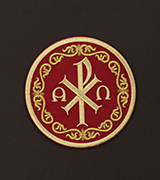 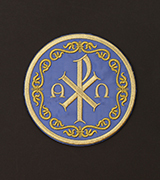 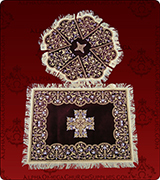 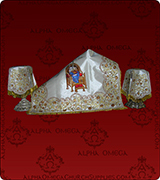 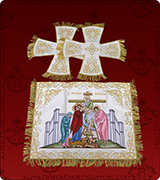 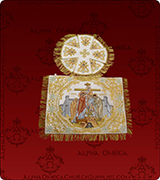 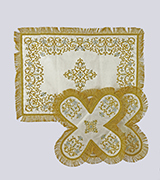 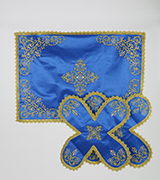 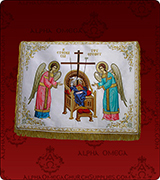 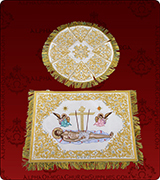 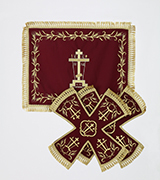 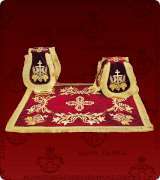 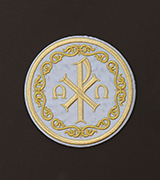 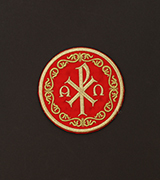 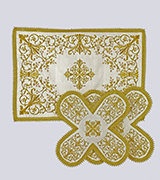 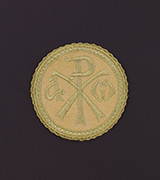 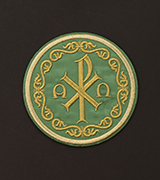 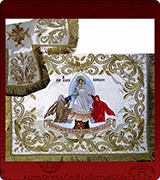 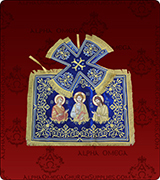 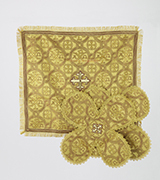 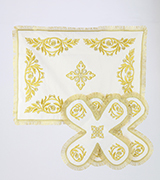 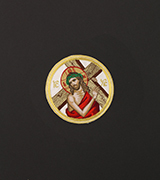 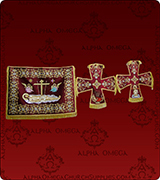 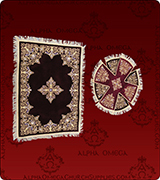 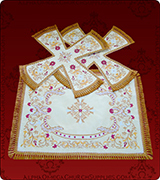 Sapphire velvet chalice set veils featuring an embroidered Icon. 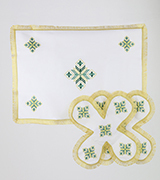 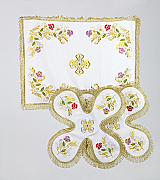 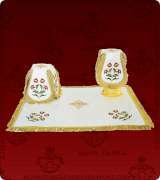 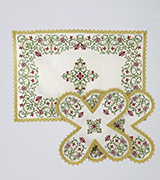 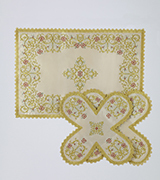 White satin chalice set veils with embroidered accents.